Boutique by Elegant themes is one of the most popular themes: well integrated to the popular plugins, the theme is secure with valid coding, What you get with this theme is a well-responsive theme which is SEO friendly, compatibility with all the major browsers, unlimited colour scheme to combine your favorite colours, and more customization options as you desire. Another well-built and well equipped theme by Elegant themes, this theme can be fully translated into 32 languages from inside and out, it also provides Right-to-left(RTL) support for languages like Arabic that begin from the left. Probably the smartest and most flexible theme in the theme collection, it’s highly customizable and comes with 18 pre-made layouts. The divi builder allows you to build creative and beautiful websites which is wonderfully responsive. It’s new and currently my favorite with its clean and modern design with white background highlighting the text and images, and it is built to integrate well with woocommerce. The theme is extremely well responsive to desktop, mobiles, and tablets with consistency. Apart from unlimited colour option you also get full-width and boxed layout to create margins, 3 different header designs and you can see the demo here. It’s full integrated with the best of plugins, already SEO friendly, and so many more interesting customizable features. This is an old and popular theme, bought by more than 4,000 people is a clear and easy to customize theme by themeforest. The main feature of this theme is the admin module, slideshow, new products display on homepage, extra links and blocks and so on. The theme is well equipped suited for fashion store, clothing ecommerce, apparels, and clothing accessories. The theme is optimized for faster loading and performs well. Another easy on the eye theme, which utilizes the features of woocommerce plugin to provide the most powerful ecommerce website. You also get wishlist feature, zoom-in effect in the product detail page, pop-up plugin included to show offers and news. You also get a shortcode manager, a mega menu, and a clean design. A clean, light weighted woocommerce themes, Mystile is free to download. The theme is responsive and supports plenty of plugins. You also get custom shortcodes in this themes; a sticky not which you can use to highlight any message. 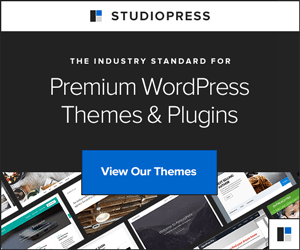 Running its latest version, the theme supports with WordPress 4.2 version. It’s great, fast, responsive modern theme not only for ecommerce but for also works well as a business theme. One of the easiest themes to customize with its drag & drop muffin filter, even a 5 year old will be able to customize it. SEO ready, you also get video support which is included in the theme. If you’re serious about your ecommerce business and want to take it to the new level, it’s best to purchase a theme, even if it means spending $100 or more. The advantage of a purchased theme is get support and more integrated features and you won’t have to buy or download extra plugins. So buy these themes and start your business. Sophia is a trained WordPress developer working with WordPrax Ltd.- A leading HTML to WordPress conversion services company. If you’re planning to convert HTML website to WordPress for a brilliant online presence, she can help you. Some stunning articles related to website markup conversions can be found under her name.